With its original opening in 1955, LEDO Pizza played a great part in the local University of Maryland community and has since then expanded its impact to encompass areas throughout the greater metropolitan area. 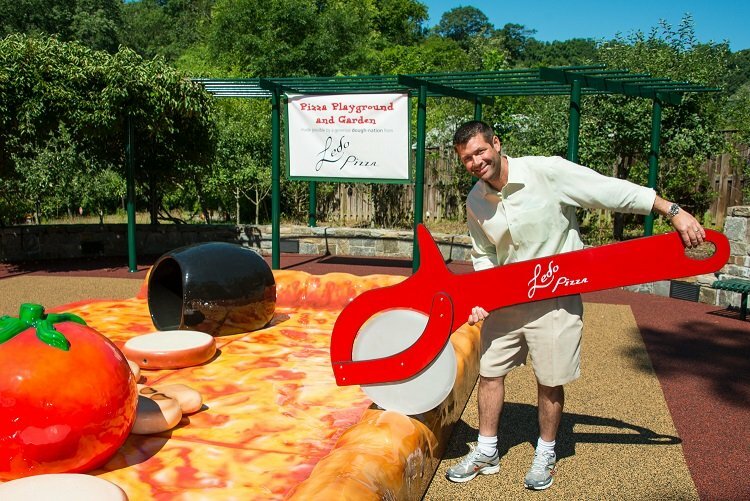 From its first location in Adelphi, Maryland to the nearly 100 franchises today; the tradition of giving back to the community is still a prominent custom of the LEDO establishment. The families that shaped LEDO Pizza now pass their traditions to other families in different areas. • Clubs and other organizations to give back to the community. 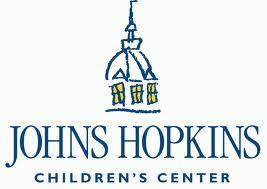 • Act Local Program benefiting the Pediatrics Unit at Anne Arundel Medical Center. • Hosting benefits for National Autism Awareness Month with Project Lifesaver. • Relay For Life, providing additions to school playgrounds. • Donating educational toys and games for Children’s Centers. • Organizing MS Walk Fundraisers. The presence of LEDO Pizza within the local community has played a huge role in developing and perpetuating the efforts of local organizations. Each LEDO Pizza is individually owned and operated by a member of that particular community where the store is housed and located, which is part of the reason for the incredible local presence each store portrays. LEDO Pizza Pink Box to Raise Awareness for Breast Cancer Research. During the month of October, Ledo Pizza will be using 18 Inch Pink Pizza Boxes to raises awareness to various cancer charities throughout our area. During the month, Ledo Pizza will also be donating $10,000 to Cancer Charities! 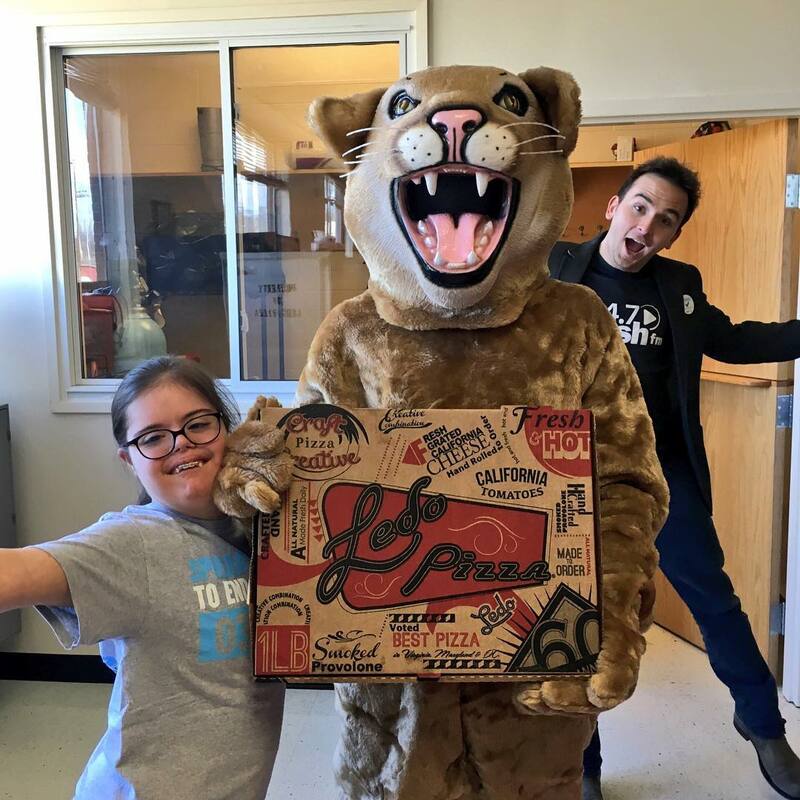 Ledo Pizza Teams Up with Best Buddies to “END THE R WORD”. Ledo Pizza Fed 1200 High School Students at Oakton High School in Vienna Virginia as part of our partnership with Best Buddies and FRESH FM’s Tommy McFly. 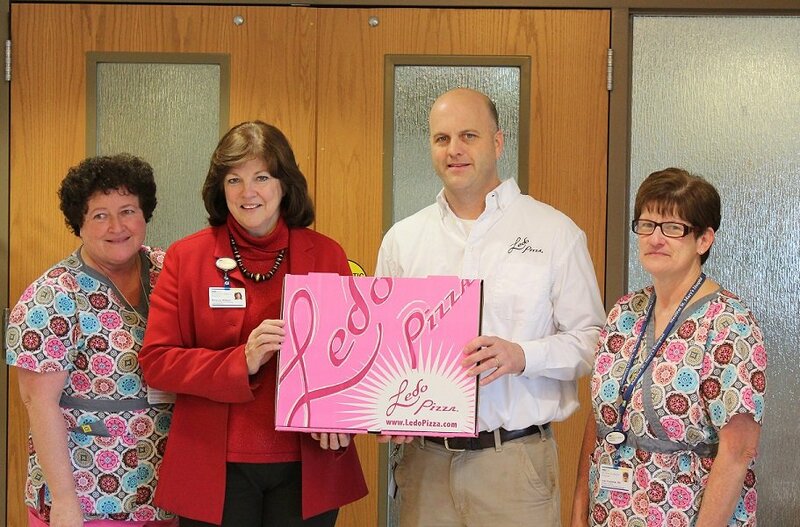 Ledo Pizza is helping the effort to “END THE “R” WORD” in our area’s schools. Thanks to Ledo Pizza Falls Church for the help with the pizzas. Best Buddies is an organization to help individuals with intellectual and developmental disabilities.